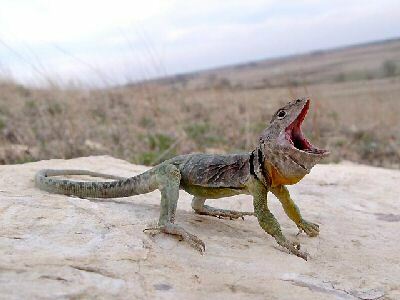 The following pictures appear courtesy of Matt Ingrasci and depict a male Crotaphytus collaris from the Southern Flint Hills. 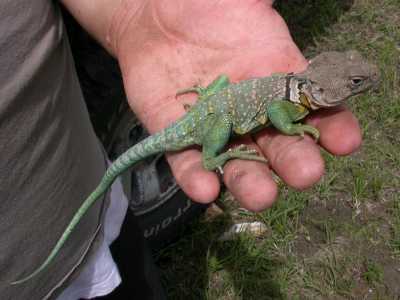 Here's a shot of the male when first found. 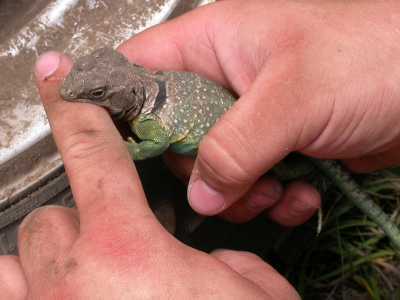 The lizard subsequently wedged himself in the wheel of their truck and was ungrateful for his removal. 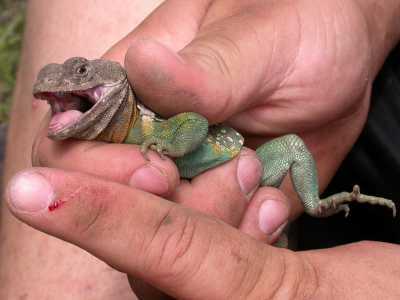 In this picture, the teeth are visible as well as the damage to the human finger! 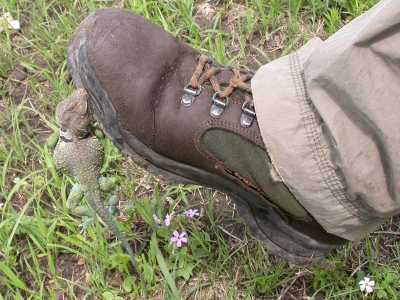 Even upon release, the lizard was tenacious and attacked once more. These pictures are of a male from near Manhattan; photos by Jeremy Huff and used with permission. 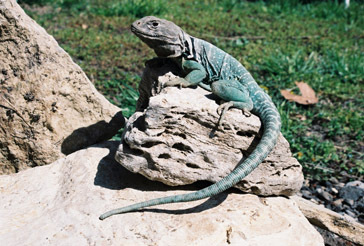 The next two pictures are of a disgruntled male from Ellis County. 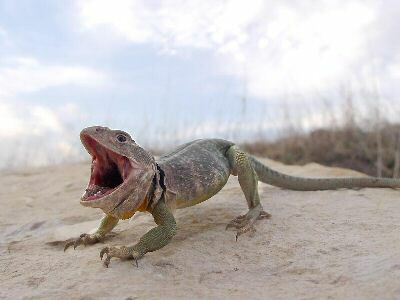 Apparently, Kansas collared lizards are fairly aggressive! 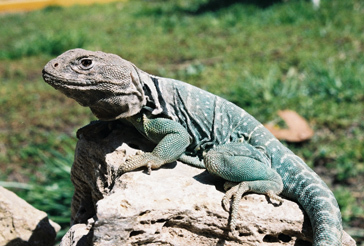 These two photographs are used with permission from Eitan Grunwald, who has an outstanding field herping site.